Frankenstein follows Victor Frankenstein's triumph as he reanimates a dead body, and then his guilt for creating such a thing. When the monster realizes how he came to be and is rejected by mankind, he seeks revenge on his creator's family to avenge his own sorrow. Mary Shelley first wrote Frankenstein as a short story after the poet Lord Byron suggested his friends each write a ghost story. The story so frightened Byron that he ran shrieking from the room. This version contains the complete novel, including the three letters before the first chapter. In these letters, Lord Byron's challenge that inspired the writing of the novel is explained. 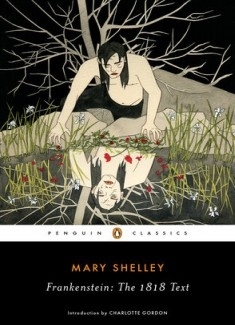 Frankenstein is a beautifully tragic story of love, vulnerability, and acceptance.